Say hello to the most expensive iPhone ever. For most folks, fitting an iPhone into the budget is tough. For an elite few, a standard iPhone just won't do. A European businessman in the gold industry is one of those elite few. 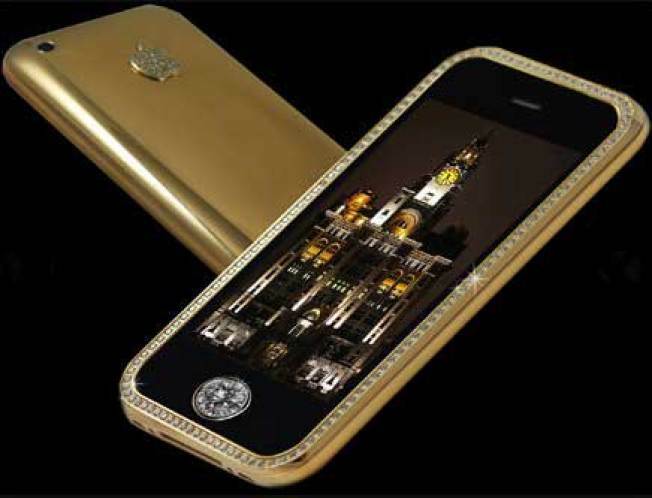 He commissioned a solid gold diamond-crusted iPhone worth well over $3 million. British designer Stuart Hughes took 10 months to create the phone with 271 grams of 22 carat gold surrounded by 136 flawless diamonds. The navigation button was created from a single 7.1 carat diamond. Is there an app to fit this iPhone into my budget?